The Dodge Omni was a FWD compact car developed by Simca in France, and in the US it was turbocharged from the factory to create the Omni GLH (Goes Like Hell). At the end of production Carroll Shelby purchased the last 500 cars from the assembly line and took them to his California factory for additional modifications and rebadged them as Shelby GLH-S (Goes Like Hell, S'more). They are an odd and rare piece of automotive history that can be purchased for next to nothing. 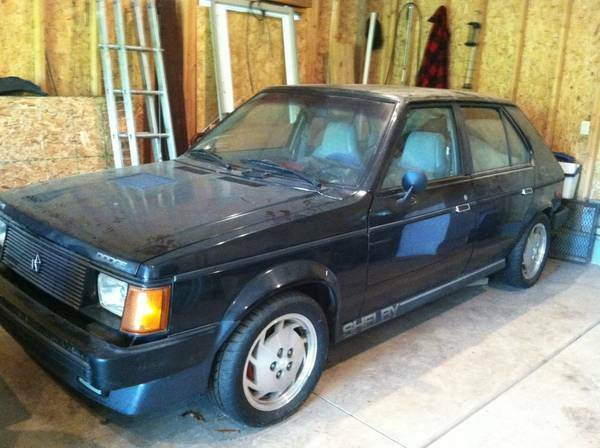 Find this 1986 Shelby GLH-S for sale in Howell, MI for $5000 via craigslist. Tip from Kaibeezy. Well that was embarrassing...we forgot the link first time around...fixed it! 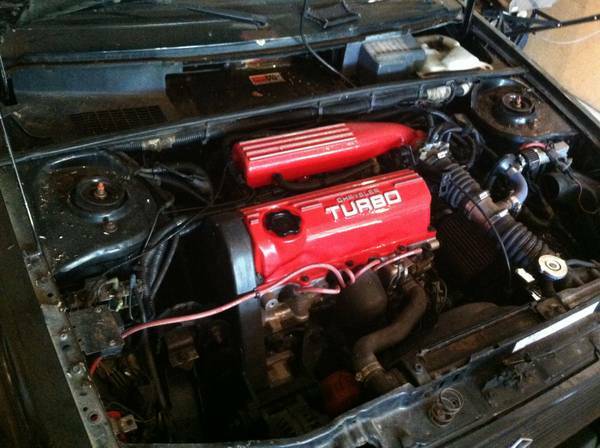 This one has a decent body and is loaded with performance goodies under the hood, but it doesn't run and could use paint. Still, there are not many GLH-S cars falling out of trees these days, so you can pass on this one with Dodge minivan front discs and wait for another...but you'll pay much more for a running/original example. "does not run" - why? ?